ONEONTA, N.Y. -- Maria Ostafew of Albion, NY, had the opportunity of a lifetime to travel to Bangkok in June thanks to funding provided by SUNY Oneonta Auxiliary Services/Sodexo. Ostafew was selected to intern at Sodexo headquarters in Thailand for three weeks where she worked on a project related to hers Dietetics major. Ostafew said, "Traveling is in my blood, and learning about how people around the world carry out their everyday lives is something that fascinates me. Last summer I studied abroad working in a small school for severely mentally and physically disabled children. This experience had an overwhelming effect on me and how I hope to make a difference in the field of nutritional science. I am eager to apply that hands on knowledge in the corporate setting of the Sodexo internship"
SUNY Oneonta Auxiliary Services/Sodexo opens this opportunity each year to full-time students of any major who are either sophomores or juniors with a cumulative G.P.A. of 3.0 or higher. Although the students do not earn academic credit for the venture, very often an international internship with Sodexo can lead to employment opportunities within the company. At the very least, it gives SUNY Oneonta students the opportunity to travel to countries around the world and gain powerful networking skills. Scholarships and Global Connectedness were two of four campaign priorities for the SUNY Oneonta Foundation's Possibilities Full of Promise campaign, which raised $13.6 million for student scholarships and travel, and faculty development. 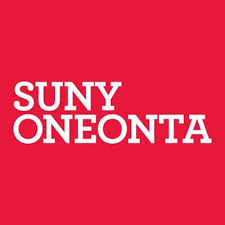 It also pushed the SUNY Oneonta endowment past $50 million, the largest endowment among all SUNY comprehensive colleges.